Cuddly Jefferson is a big, fun, eager-to-please puppy who’s going to grow into an incredible dog. He loves to play and he’s easy to teach with treats and toys. 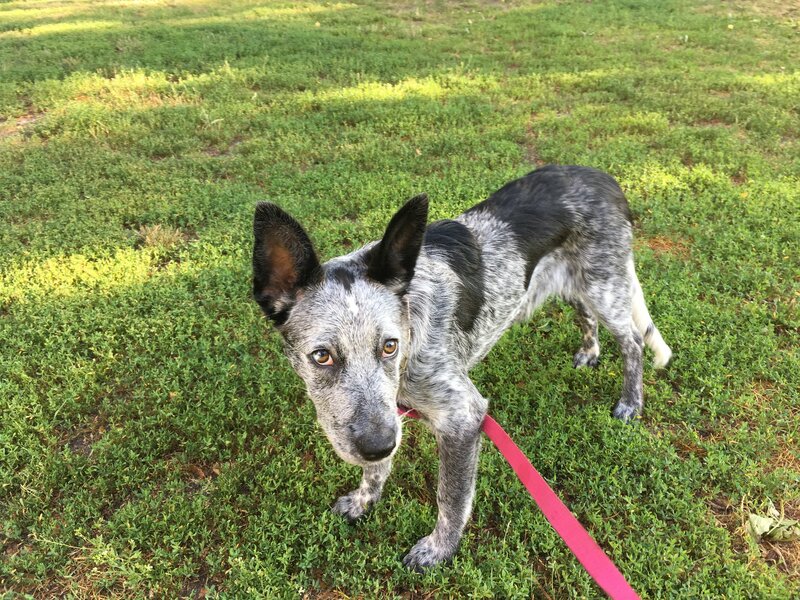 Like most heelers, Jefferson is really smart and has a good memory: after just a week with his foster family he already knows to sit at crosswalks and his leash, and in a few other circumstances, and he’s figured out how to wait for treats. He’s happy snoozing in his crate or cuddling his foster family and their dog, when he’s not burning off energy by throwing his toys for himself and then pouncing on them. Jeffy is housetrained, and a regular regimen of pee breaks keeps him from having accidents (it’s only happened a few times.) Cutting off his water an hour before bedtime also means he sleeps comfortably through the night. Although he’s still young, Jefferson has had a lot of instability in his life. But he’s settled into his new Canadian life like a champ. This little snuggler just wants to be a loved part of a stable family, and he can’t wait to meet you.